I am a bit puzzled by Goverment spending, as there seem to be an awful lot of what look like infrastructure spends going on - a friend who travels regularly says his experience is that many rail stations have work being undertaken, and there certainly seems to be a lot of road programs in operation, yet if investment spending is down, where is this money coming from - or is it simply anecdotal and thus unreliable? Fascinating. But given the scale of cuts which are clearly taking place (eg in local government) where is the extra spending identified in this article coming from? What is it being spent on? And as a separate question, how come this is the only progressive site I have come across which highlights the increased spending? No, what an incoming Labour government needs to do is implement monetary reform. No more money creation by the privately owned banks, which is the real problem here. This is very good. Can I ask 2 questions? 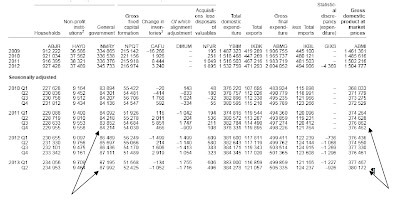 After the 2nd estimate of GDP for Q2 2013, Net trade accounted for .3% of the growth (1.55bn improvement,I think), now after the 3rd estimate, this has vanished and GFCF is now contributing .3%. Q1 Is this GFCF stock building? 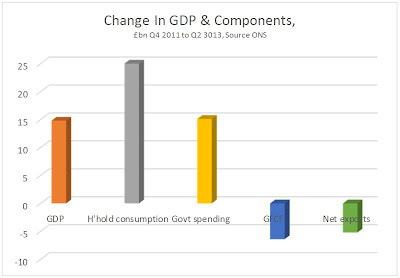 Q2 The recovery is predicted to continue in Quarter 3, what do you think will be the components of this growth? Thank you for this. Can I ask where, with cuts to welfare and huge budget reductions for Local Government, not to mention the University sector and all the job losses (civil service, armed forces, local councils etc), has all this money gone? 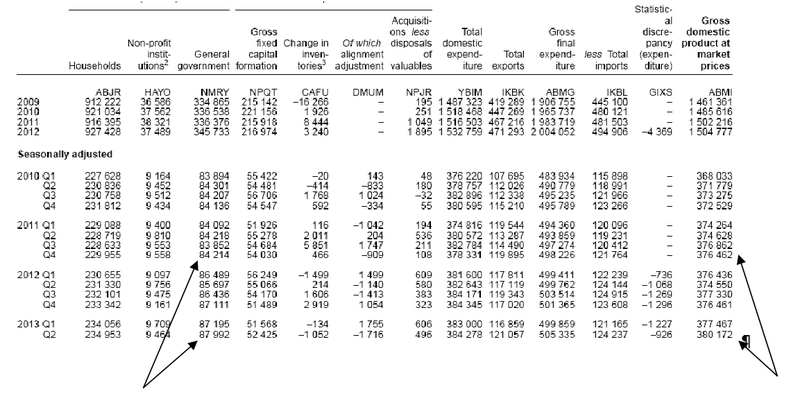 Can we find out how much public money goes to the enormous private banking liabilities sitting on the public books?